It is a rare quality to play sensitive, lyrical and calm music without falling into the abyss of cheep sentimentalism à la Mathias Eick, and this duo does it with incredible charm. 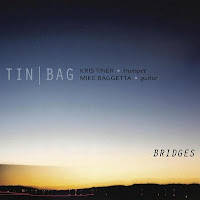 Krist Tiner on trumpet and Mike Baggetta on guitar weave nine compositions/improvisations that are performed with careful precision, without using extended techniques, using their instruments in their most traditional sense, yet with great skill. It is as if they have been reading my review of their previous album, "And Begin Again", because all experiments are taken out. 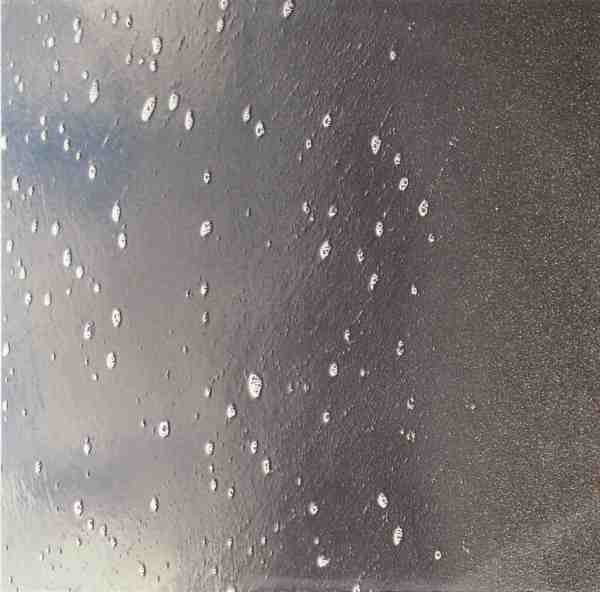 Yet the end result is far from traditional, with quite abstract pieces, full of a contemplative and somewhat sad mood, that took out all unnecessary notes and sounds leading to a rare purity of sound. There are some "americana" references, there is some Chet Baker "cool" sentiment, but these are nothing more than just ghosts of the pasts who are taking along on a journey far more modern and forward-looking. Modern music of an unusual and warm accessibility. Beautiful. There is not a great tradition of trumpet-guitar duets in jazz. 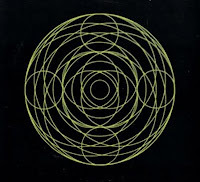 You can find my list of recent albums here. There are of course some other noteworthy albums in jazz history, yet very few : Chet Baker and Philip Catherine, and Tom Harrell and Philip Catherine (each time with bass), and Jerry Gonzalez with Niño Josele on flamenco guitar (with small percussion).Suggestions are welcome. It seems that jazz and more open ended forms of music are alive and well in the UK, or at least that's the impression I get form a recent glut of albums I've been listening to. Here's another excellent release from the Loop Collective label featuring this fine group known as 'Splice'. If you follow the UK jazz scene the names of Fincker, Bonney and Smith need no introduction, however Pierre Alexandre Tremblay was a new name to me, and a nice discovery. It's probably his inclusion in the group which adds an interesting slant to the music as Pierre Tremblay works at the Huddersfield University teaching and composing in the field of Electro-Acoustics along with the likes of EA guru Monty Adkins. Many such groups have musicians that tweak electronics whereas in this band the electro-acoustic element is really fine tuned, skilfully used and subtle. The music ranges from what I imagine are improvised workouts to fully composed pieces. The mournful melodies combined with the subtle use of electro-acoustic manipulations result in a very dark ambience, in fact the BBC commented on a live concert saying 'if you like your music dark and dense' - exactly! Here small details are taken from the trumpet or the sax are re-used in pieces to produce ambient sounds which are maybe interrupted by a single drum beat or a clarinet that bursts through from somewhere beyond. Tunes such as Tk 2 (Cortège) are slow and heavy with a sax that cries out before gradually playing a delicate melody over blistering drums and distorted bass. Tk 3 (The Wanderer) makes great use of clarinet and trumpet playing a melody which seems to repeat itself (but not exactly) and could be something from Miles Davis Big Fun. The group seems to have almost done away with direct soloing, successfully combining improvisation, composition and electro-acoustics into well balanced musical style, giving no aspect of the music more or less room. Tk 8 (Sillon Fermé) is a typical example with manipulated bass sounds turning non stop in a loop. Is anybody really playing, or is the whole thing electro acoustic manipulation? It's not a perfect record but it has many strong points and one wonders where they will move next with this idea, in fact it's a little like a card player who never really shows their hand. 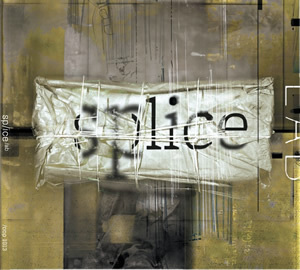 Splice is not so much a genre buster, but more of a genre consolidator and will probably appeal to those who like the work of 'Food', Jim Black's 'AlasNoAxis' or Chris Speed's 'Yeh No' Ensemble. However, this being a British band (and production) the music is in fact much rawer in feeling and whilst also being sophisticated it's capable of giving your speakers a run for their money - play loud! Alex Bonney (trpt/electronics), Robin Fincker (tenor sax/clarinet), Pierre Alexandre Tremblay (bass guitar/electronics), Dave Smith (Drums). With the unlikely line-up of bass horns, Madeleine Bischof on contrabass flute, Thomas K.J. Mejer on contrabass-saxophone and Leo Bachmann on tuba create a sound that is possibly unique in its kind, and that goes quite a lot beyond what you can even expect these instruments to sound like. They explore tones and drones, at times turning their instruments into a rhythm section through the clicking of the valves, shouting through the mouthpiece, whispering and whistling, yet their music remains bizarrely accessible and beautiful. The accessibility is the result of the calm and "horizontal" development of the improvisations, often zen-like, building the long stretched phrases around silence and the occasional rock in the zen garden. Despite some rare moments of sudden agitation, the music is serene in nature, yet very explorative and full of surprises and wonder. The end result is full of some deep yearning too. For the trio's live performances, eight loudspeakers are installed, and the audience can move freely between them. Since the audience can only enter after the performance starts, and have to leave before it ends, the impression of a never-ending soundscape is created. An impressive and unique listening experience. Listen and download from eMusic. On their previous album, "You Liked Me Five Minutes Ago", I compared Fire! to a modern day Pink Floyd of the early period, with long hypnotic and epic rhythms over which endless wails of humanity are woven, and this album is no different, even accentuating the effects, exceeding its predecessor in quality and listening experience, building more volume and effects with Jim O'Rourke on guitar, joining the original trio of Mats Gustafsson, on sax and Fender Rhodes, Johan Berthling on bass and Andreas Werliin on drums, creating long psychedelic atmospheres with rock rhythms, endlessly repetitive, creating tension and expectation and suspense, with odd electronic colors and shadings, providing the subtle backdrop for the expected, anticipated and hoped for explosion of sound that will offer relief from this endless repetition, and for sure it comes, eventually, when you're exhausted, when you think it will never stop, and when it comes, it is either in the form of the most incredible human wail ever to come out of a saxophone, full of agony, anguish, fear, distress, helplessness, need, pain, and it goes on and on, howling, howling, howling, like no musician has ever used a saxopone, like you've never heard the instrument before, so close to the human voice in all its aspects and emotions and feelings, yet hair-raising, bone-chilling, devastating, massive, or in the most plaintive nerve-wrecking repetitive high-toned single guitar chords that create dark, inhospitable, intense sound environments supported by the relentless rhythms that go on and on and on and because of their hypnotism you have no other choice than to be sucked into this universe of pain, like a moth into the flame, into the fire ... again and again and again. Not to be missed. Not jazz, but not to be missed. The album is better than the clip below, but it will give you an idea of what to expect. Joe McPhee's Survival Unit III's "Synchronicity" is a tough, dark and moving affair. His experience working the timbers and tones of the avant-garde with his saxophone and clarinet is on great display. 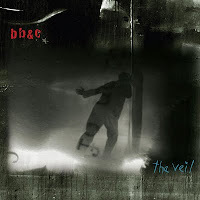 The recording was made of a concert date at The Hideout in Chicago in 2007, the sound is excellent and the audience was obviously quite appreciative. While noise, both electronic and acoustic, is used to shade and texture, it's never at the expense of the music. Melody, no matter how obtuse or abstract, is never far behind as McPhee delivers big confident passages, and Fred Lonberg-Holm's cello and electronics generate accompaniment that tenderizes and terrorizes the senses. Drummer Michael Zerang accompanies, leads and generally holds the group together as they progress through this thrilling set. About eight minutes into the fierce and free "Waiting for the other shoe", Zerang picks up a steady tempo, and things get really deep and grainy. 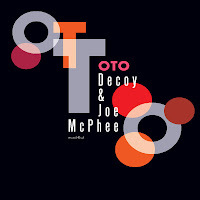 McPhee's tonality deepens, notes elongate, and perhaps because of the steadier beats, the song begins to take on a sinister hue. Attention soon shifts to Lonberg-Holm, whose evocative double stops eventually devolve into mere scratches and scrapes before the tune rebuilds, soon sounding even tougher. "The why not" is an uncompromising mash-up. McPhee is unrelenting, and Lonberg-Holm pulls out heavy metal inspired riffs between shifting swaths of sound. After reaching the zenith, the last two minutes see the dynamic drop precipitously and it sounds like McPhee has switched to the clarinet. "Hmmm (for Maryanne Amacher)" is a bit more subdued, though by no means a less energetic affair. McPhee squiggles and squirms over chirping electronics and impressionistic percussion. 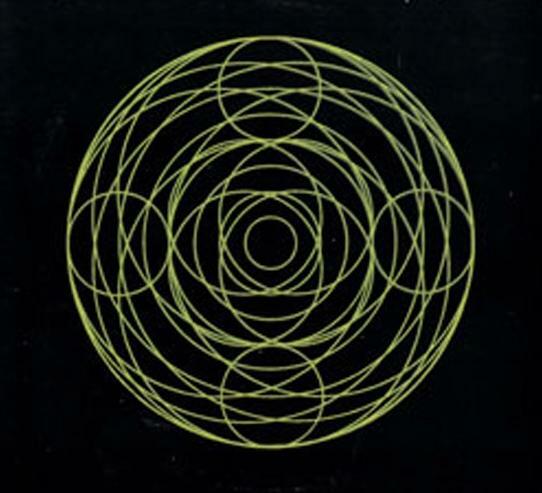 "Hndrx 9-18-70", too, is an abstract affair, with Lonberg-Holm providing a long and fascinating solo that turns the cello into a nasty, dirty, distorted lead. Slowly evolving, the 15 minute foray into sound and fury builds to an exciting climax with McPhee blowing plaintive lines over harsh stretches of sound from the cello and furious network of rhythms from the drums. After the first peak, the song continues to play-out as a tuneful tribute to the songs namesake's seminal passing decades ago, building to a second searing moment. This is a powerful album, it takes fortitude and might to listen, it's not for the feint hearted and it's certainly worth using all of your listening might to digest it all. 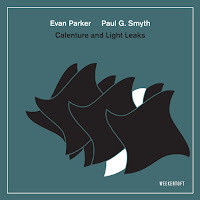 Well, I forgot about this album when giving an overview of recent albums with Gerald Cleaver on drums, here in a trio led by tenor saxophonist Ellery Eskelin and with Gary Versace on Hammond B3 organ. 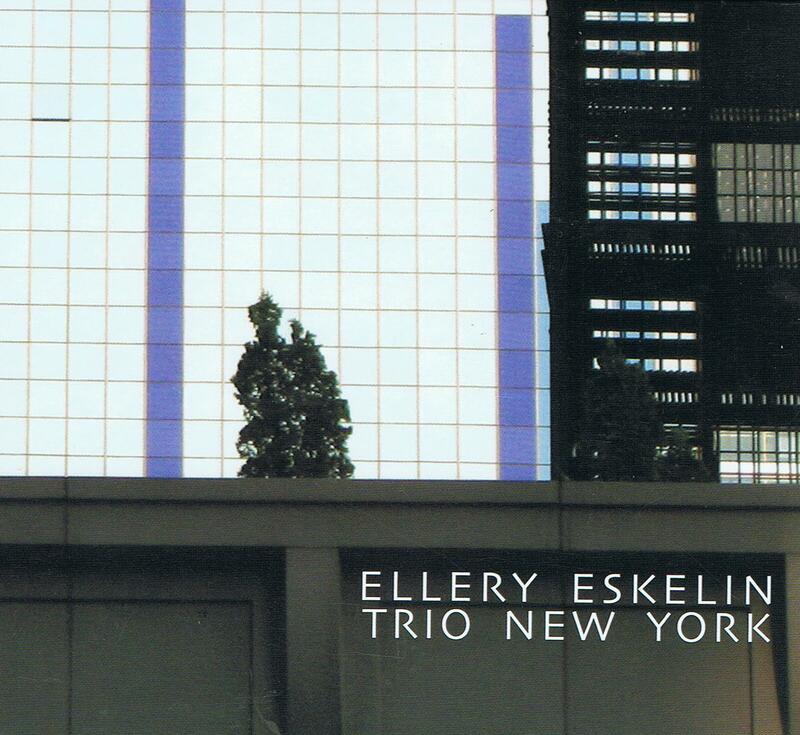 The album is dedicated to Eskelin's mother Bobby Lee, who played the organ herself. The trio takes on five standards, including "Memories Of You", "Off Minor" and "How Deep Is The Ocean", so deeply rooted in jazz history while giving it all a real forward-looking approach. The playing is excellent, as you might expect from three such musicians. The reference to the old music and the use of the Hammond B3 create a somewhat outdated sound at moments, and even if that's the intention, the result remains a matter of taste. To be honest, I don't like the sound of the organ, at least not how it's played here. And because of the material, and the dedication, it is all a little too nice and sweet. But the playing is excellent. Eskelin's round tone feels like a soft warm breeze in summer, Cleaver adds crispiness to it, while the organ adds a heavy ballroom dancing atmosphere. A strange album. This is another Hammond B3 free jazz album that's been lying here for a while. 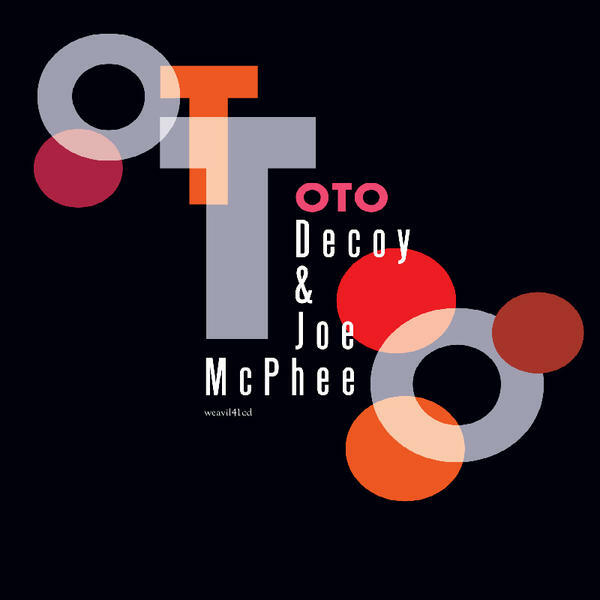 The British trio Decoy, with Alexander Hawkins on organ, Steve Noble on drums and John Edwards on bass are joined by the great Joe McPhee. 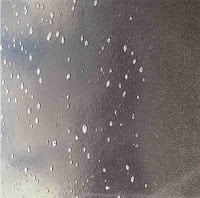 The performance was recorded live at the Café Oto in London. The music is of a totally different nature than the Eskelin album, full of raw power and energy, with the organ more used to create volume and density and sonic contrasts than melody. The trio create the perfect storm for McPhee to feel comfortable in, blowing his usual Ayleresque combination of spirituality and force, yet fitting in quite well with the overall sound. Great drummers tell stories: they are not only the time-keepers or the rhythmic base of the band. Great drummers make the music. Jack DeJohnette is in that category. So is Hamid Drake, so is Eddie Prévost, so is Tom Rainey. And so is Gerald Cleaver. It is extremely difficult to describe music, so I will refrain from describing why Cleaver's quality is exceptional. I can only invite you to listen. Just look at this quick overview of the past few years, and check also the ratings given by your humble servant. ... and this is only the output of the last two years, something to make many musicians jealous. Why is Cleaver a story-teller? Because he uses his instrument to create tension, drama, suspense, emphasis, by using space and time, and then surprising you with some creative angles, adding that touch more, that aspect that put is all in a different perspective, that touch that makes the overall sound of the music. I am toning down a bit on the stars, but the first two albums reviewed below might well end up in my best-of-year review. 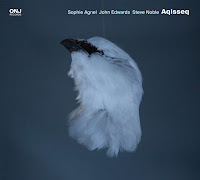 Like on the previous album, this piano trio again demonstrates that it's one of the best around (more examples to come soon), with Craig Taborn on piano and William Parker on bass. It is also one of those rare piano trios that manages to create a common sound, rather than being just a piano plus rhythm section. The music is intelligent, creative, expressive, incredibly well-paced and precise. It is not really minimal but the "less is more" approach leads to a kind of refinement that is devoid of constraints, full of subtlety and warmth, and sudden surprises, and surprisingly enough, all this while pushing the boundaries of the piano-trio-as-you-know-it. Forget Bill Evans and Keith Jarrett. Every single track on this album is of the same high quality, because each of the six compositions offers a totally different yet equally captivating story and character, ranging from slowly meditative, over quirky to hypnotic repetitiveness, but then just not of the kind that you are familiar with. 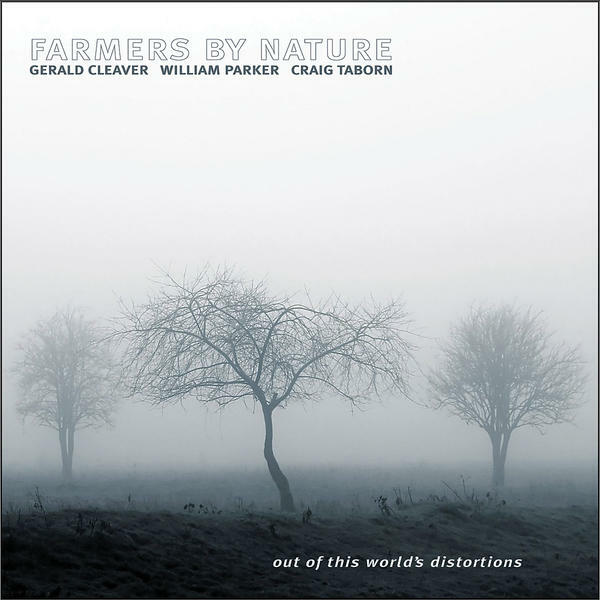 Cleaver, Taborn and Parker play all three at an exceptional high level with an equally strong coherence in their musical vision. As mentioned before, Brazilian tenor saxophonist Ivo Perelman has a great admiration for his fellow compatriot and author Clarice Lispector. She continues to inspire him on this album, with her novel "The Hour Of The Star" forming the reference. But to which extent the six improvisations try to evoke the story itself, is hard to assess without having read it. The band is Matthew Shipp on piano, Joe Morris on bass and Gerald Cleaver on drums. From the very first second, the quartet is gone for a nervous journey of mid-tempo and mid-range playing, a little off-kilter, full of density and intensity and evolving to a climax of sorrowful wailing by the tenor. The second track - without piano - starts more playful, lightfooted, slightly dancing, boppish, with tender soloing by Perelman, then shifting suddenly into rock 'n' roll then back to free bop. 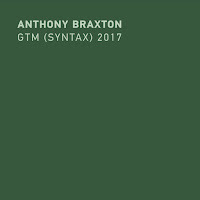 Yet the title track starts with a few minor chords on the piano setting the scene for a piece reminiscent of David S. Ware, expansive, expressive, soaring. 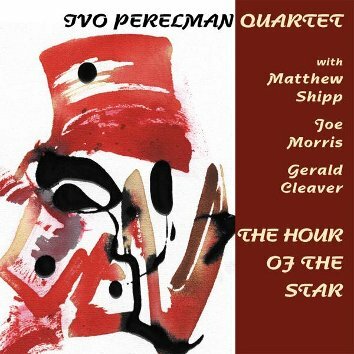 Even if all four musicians excel, Shipp's magnificent harmonies give the piece the depth it needs : he can be soothening when Perelman goes berserk, or he can accentuate the madness by adding to the dissonance, then shifting back to warm chords, while Morris and Cleaver play up a storm. The contrast is fascinating and wonderful, and just listen to Shipp's smooth soloing with Cleaver just refusing to let go of the power-playing, inviting Perelman back in ... in full force, unleashing all his energy and feelings in a paroxysm of sound. "The Right To Protest" is calmer, with tenor and piano having a conversation, a nice dialogue, demonstrating Shipp's excellent reading of Perelman's playing, almost symbiotic. Then listen to Cleaver's intro on "As For The Future", building up tension, ... and tension ... and tension, a delight of restraint and skills, leading up to again a joyful entrance by Perelman in full support of Morris' rock solid bass, gradually picking up speed and intensity. The last track starts with an intimate bass and sax duet, hesitating, circling, and this kind of stop-and-go approach is maintained when Shipp and Cleaver join, with odd counterrhythms moving the piece forward in a fluent yet unpredictable way, shifting the mood from soft sensitivity to violent rage and back. The reviewer's frustration is his inability to review all the great music that comes his or her way. And so it is with the music of Rob Brown, one of my favorite altoists. 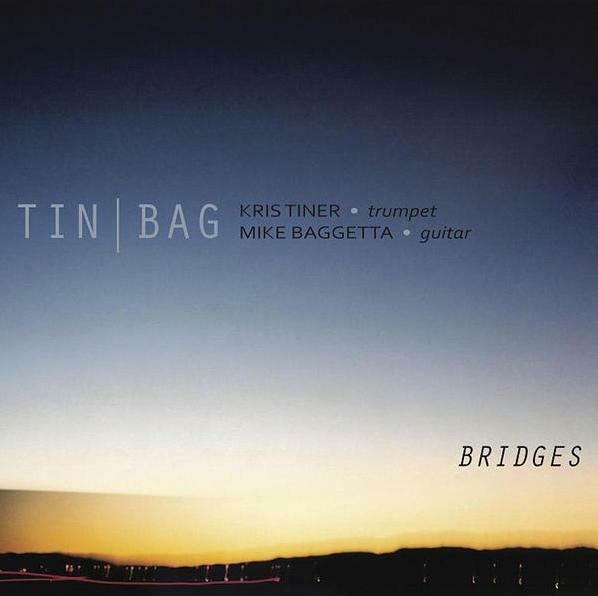 His duo album with Daniel Levin is still lying here, waiting to be reviewed, and so is the Rob Brown Trio, just released on RogueArt, another French label. The band conists of Brown on alto saxophone, Matt Moran on vibes, Chris Lightcap on bass and Gerald Cleaver on drums. Brown is an extremely lyrical saxophonists, who likes a composed basis for his very sensitive and warm playing. And like on his previous albums, Brown does not disappoint. His compositions are really beautiful and compelling. Listen to some pieces just a few times, especially the great and long "Lurking/Looking" and its melody will stay with you for a long time, full of yearning and melancholy. On this album, the rhythm section is really very much in support of the altoist, but the instrumental qualities of Moran, Lightcap and Cleaver are of such a degree that they are more than just the rhythm section. Moran manages to change the sound color into a different atmosphere with subtle and velvety touches. A great thing about this album is that it was recorded live, with the audience participating enthusiastically. 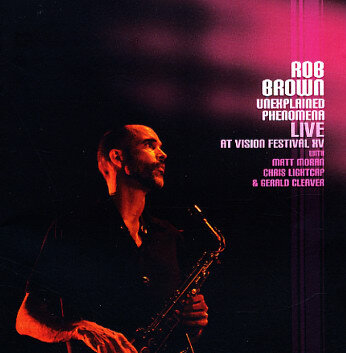 Rob Brown will not change music history, but that is of course only given to the very few, but he manages to systematically create music that is well above the average. 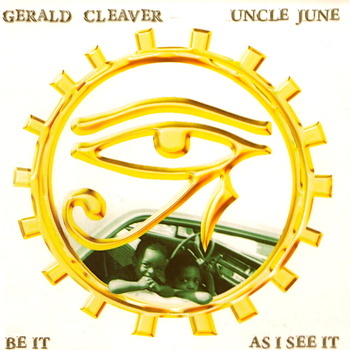 Unfortunately, Cleaver's own "Be It As I See It", is a little bit over-ambitious, mixing too many styles and trying to do too much in too short a time span. 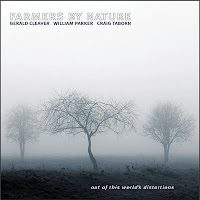 The band is as varied as the music, with Gerald Cleaver (d, perc, voice), Andrew Bishop (fl, ss, b-cl, ts), Tony Malaby (ss, ts), Craig Taborn (p), Drew Gress (b), Mat Maneri (viola), Ryan MacStaller (g), Andy Taub (banjo), Jean Carla Rodea, John Cleaver (voices). It is too theatrical, too overwrought, insufficiently spontaneous, with and end result that is more emotionally distant and artificial than the composer could have wanted. That being said, there are some incredibly strong moments too, and without a doubt great musicianship. 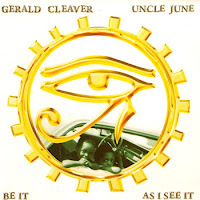 Gerald Cleaver is one of the best drummers around, without a single doubt. Incredibly creative and inventive, with a magical sense of timing, pace and rhythm. I wouldn't say that all the above albums would sound dull without his presence, but they would surely miss a significant part of their appeal. Cleaver is a drummer by nature. I'm listening to too much music at the same time, which blocks my writing somehow. 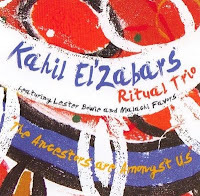 At the occasion of the now official release of Kahil El'Zabar's Ritual Trio peformance in Saalfelden in 1987, I wanted to give a complete discography by the drummer/percussionist, but got stuck in all the grey zones of his record output. This trio live performance, with the great Lester Bowie on trumpet, and the great Malachi Favors on bass is a must for all fans. 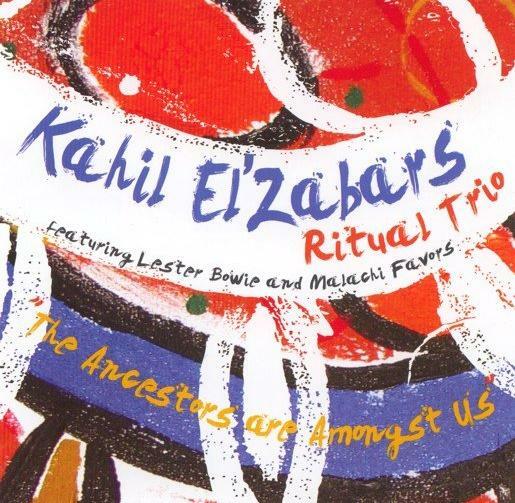 El'Zabar is the real great of tribal rhythms, creating very long hypnotic foundations for the soloists to improvise freely, spiritually, bluesy. Lester Bowie is of course a master at all that : he sings, wails, growls, weeps, stutters, moans, farts, ... he can build tension, he can build stories out of thin air and take the listener on for some great moments. Favors is equally good, as comfortable with boppish rhythmic support as diving into adventurous zones, especially when bowed. And El'Zabar is great. I think I have almost all his albums (with only a few missing). I can only recommend him to those of you who don't know him. The others won't need convincing. The sound quality of this live performance is not always perfect, but the music is such a joy to hear. Go for it. Here is my attempt at El'Zabar's discography. I recall a coffee table book, probably from the late 90s, that was dedicated to photographs of industrial spaces. The stark black and white photography, with subtle shades of grays and grittiness, revealed a certain beauty in these man made landscapes. Stretching from Jersey City to Berlin and beyond, these images were at the same time austere and deeply fascinating. 'The Veil', by BB&C is full of these industrial grays and severe lines, and it too reveals a deep beauty in the absence of the conventional. 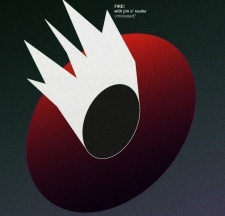 Reportedly recorded on a sweltering night in the spartan performance space The Stone, in New York City's East Village, alto saxophonist Tim Berne's trio consisted of Jim Black on drums and Nels Cline on guitar and electronics. It was a pairing, that when I first heard of the record's release, had me anticipating something special. In heavy rotation on my iPod lately has been Tim Berne's Big Satan's 'Souls Saved Hear'. Berne's muscular sax and fractured melodies intertwining with Marc Ducrets fretwork is captivating. Too, Berne's work with Frisell, Hank Roberts and Alex Cline on Fulton Street Maul is another highlight in my collection. Jim Black's work with his group AlasNoAxis is always an elastic and sharp affair, his sense of rhythm and time are a fascinating study. So, yes, I had some high hopes and I was not disappointed. From the opening passages you can tell that these are masters at work. Behind the doors of their industrial space, they are wrapping Waterford crystals in sheet-metal and playing catch. They are sprinkling machine nuts in the gears watching it sputter and spit out twisted scraps and unanticipated treasures. The recording begin with 'Railroaded', or more precisely, with some rapid fire chords from Cline and complimentary rhythmic attack from Black. Soon, Berne comes in wringing a melody from a few notes he found lying on the shop floor. Amid some mild skronks and circling phases, Cline and Black build up into a heavy rock figure that soon gives way to a frenetic improvisational climax between Berne and Cline ... and were only a few minutes in! The next song, 'Impairment Posse', continues the dynamic interplay between the trio. The song's textures and tempos undergird some tough playing, that at the same time exudes a subtle melodicism. Segueing seamlessly into 'Momento', the textures change again, lighter but still edgy, and soon we are moving amongst sinister shapes and sounds. The energy and passion in these passages -- this must have been a long improv with few, if any, pre-determined structures -- is industrial strength. A favorite moment of mine is 'Barbarella Syndrome'. The trio, by now well warmed up, builds into tense juggernaut, then suddenly drops out, leaving Berne fluttering and exposed. What a moment. I fear my hyperbole and strained metaphors are probably doing more damage than good in explaining this music at this point. Go find this album, however you do it, by store, by mail, or by Internet, and revel, like me, in its dark and twisted loveliness. I heard Slumgum on Jason Crane's Jazz Session a few weeks ago and was immediately struck by what seemed an interesting group and so when the CD arrived on our review list I immediately jumped at the chance to write about them. However as you see with the 3 stars it was rather a disappointment, or probably I could say frustrating. This is a difficult album to rate and somehow the 3 stars I give it seems miserly in comparison to the work put into the making of the music. However, it seems that the group has been a little over ambitious in trying to include too much material, and to my tastes it distracts from what could be a excellent album. The albums basic make-up if my ears (and imagination) hear correctly is - an improvised track, followed by a composed piece, improvised piece, composed piece, etc. Unfortunately from my point of view it just doesn't work and the energy that is there is often dissipated just at the moment it's needed - due to this programming idea. Odd numbered (improvised?) tracks 1, 3, 5 etc are probably fun to play/record but seem disconnected from the core of the album, making the listener loose interest, or in my case become confused as to what was actually going on. The confusion for me is that the composed tracks 2, 4, 6, 8 and 10 are all very strong - I would even say EXCELLENT - compositions with some fantastic playing and soloing. The musicians are excellent throughout, everyone playing an equal role, somehow unusual in these times. 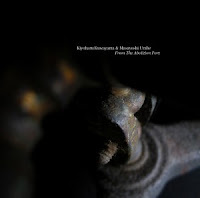 These five tracks have great architectural structures of there own with beautiful themes, melodic twists and turns that at times become free improvisations or remain within their original framework. I really loved the grooves created by these tunes 'Hancho Pancho' an almost heavy rocking piece with a great sax and rhythm section workout making you think of Paul Dunmall or Evan Parker let loose on a rock band. TK 4 'Eshu's Trick'(9:12) develops from wonderful 12/4 limping bass line that the group combines with fender-rhodes in an almost Soft Machine-esque way. Here the group lets it's hair down building up around the rhythm in a powerful way to an exciting conclusion. 'Afternoon' (Tk 6) is a lovely ballad and features a nice bass workout. The title track Tk9 is another wonderful piece with many sections and melodies to discover. Tk 10 'Puce over Pumkin ...' is another interesting thought out piece that gently swings, changes time, and generally gives space to all members of the group to solo. Most of the tracks here have a beginning but often don't develop from there. Track 3 'Big Fun' is however a wonderful rhythmic piece that builds up over 2:50. The loose theme gradually moves from a quasi Latin groove, building with glorious funk and powerful energy, finally returning to the tight Latin feel. The last track 'Big Fun (The Bellows)' makes one curious to hear what could be developed from these improvised sections. Rather a long review for 3 stars? I think it's worth it and I'll certainly be checking out their first release as what I hear here is a group well worth discovering. 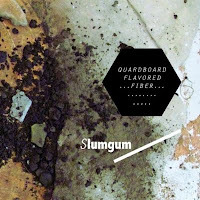 Slumgum is: Jon Armstrong: Tenor Sax, Rory Cowal: Piano, Dave Tranchina: Bass, Trevor Anderies: Drums. Going further into the depths of modern Japanese music, this one is absolutely highly recommended. Urabe Masayoshi plays alto, but also uses chains, metal joints and bells for additional effect, and Kuwayama Kiyoharu on cello, viola, metal junk and wood sticks. This universe resonates within the confines of a huge empty port warehouse in Nagoya, Japan, and the "space acts as a third instrument" we learn from the liner notes, and that's well put. The music itself is as far from spiritual music as possible : it is harsh, cold, industrial, hair-raising at moments, with whip-lashes of sound in between, sudden violent screams, sad howling, ... with the musicians like lone adventurers in a dark and empty space, losing track of each other, lamenting their fate, suddenly totally alone and screaming out for solace and comfort and the presence of something warm, which is mostly denied, even if Masayoshi suddenly plays some beautiful sensitive phrases around the middle of the piece. You sometimes even doubt whether the two musicians are on the same journey, or whether they are the two last survivors of something terrible, doomed to eternal conflict and battle between the two to them. The true mastery of both artists resides not only in the coherence of their vision, or their incredible expressivity, but also in the controlled pace that creates one of the most dramatic musical performances I've heard in a long time. 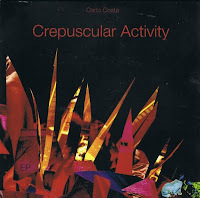 If you are not easily scared, then you should really look for this album (here), even if only 100 copies were made. It will crush you. It is devastatingly beautiful. Now that I'm in a Japanese mood, I might as well continue. 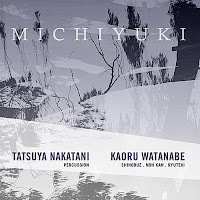 Two albums with flute and percussion were recently released with Japanese musicians, but of a totally different nature. The music on this EP can hardly be qualified as jazz, but it is hard to pigeon-hole it in any case. 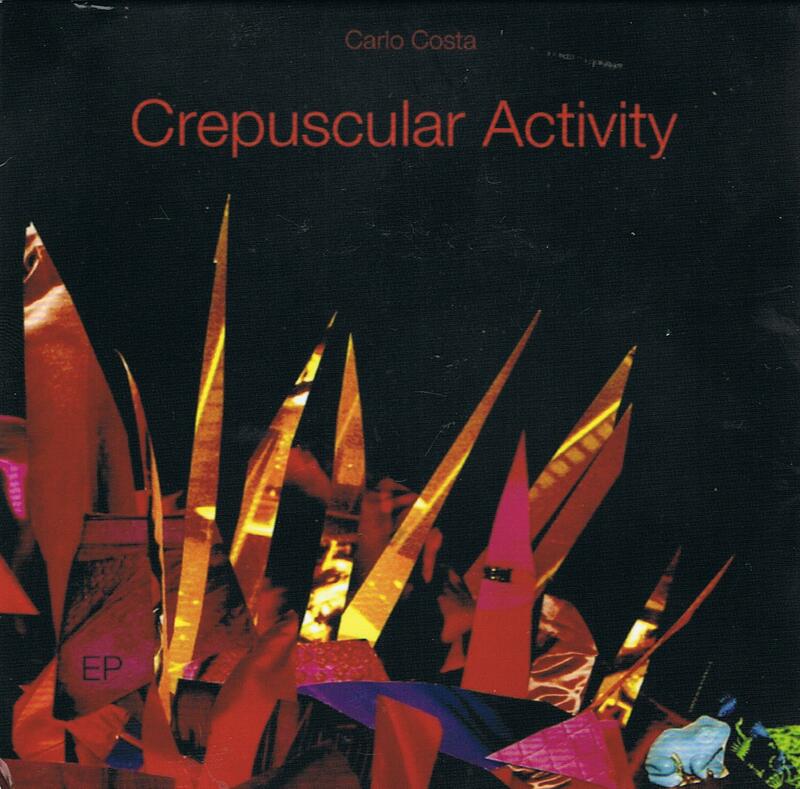 Italian drummer Carlo Costa plays percussion and glockenspiel, Japanese flautist Yukari plays flute and alto flute. The overall result is quite welcoming and inviting, slow and meditative, eery at times, because of its high level of abstraction like you can expect from Japanese music : less is more. Some parts, and especially the beautiful "Black Pond", are really impressive, while other moments remain a little non-committal, and yes, a little too much on the safe side, and of course its "only" an EP. Drummer Tatsuya Nakatani and flautist Kaoru Watanabe takes things a step further. Still based on Japanese traditional music, they push it deep into free improv and jazz territory, with very intense moments of high volume playing and fast interactions, very un-Zen. The best parts are the more experimental ones, on which Nakatani's sustained cymbal screeching offers a great ground-tone for Watanabe's improvisation, resulting in lots of tension and conflict. French bassist Bruno Duplant (here also on small percussion) and Portuguese clarinetist Paulo Chagas have found a soulmate in Canadian gu-zheng player David Sait, for a further exploration of minimalist yet expressive sound sculptures. The music on the two long tracks is inspired by the catastrophic events in Japan during winter and spring of this year, and the sound of the music is very much influenced by traditional Japanese music. Even if this Zen approach to music characterises the music on this album quite well, it still has a kind of Western modern sense of evocation, drama and tension that does not diminish but adds to the aesthetic, making listening to the music extremely compelling and captivating. 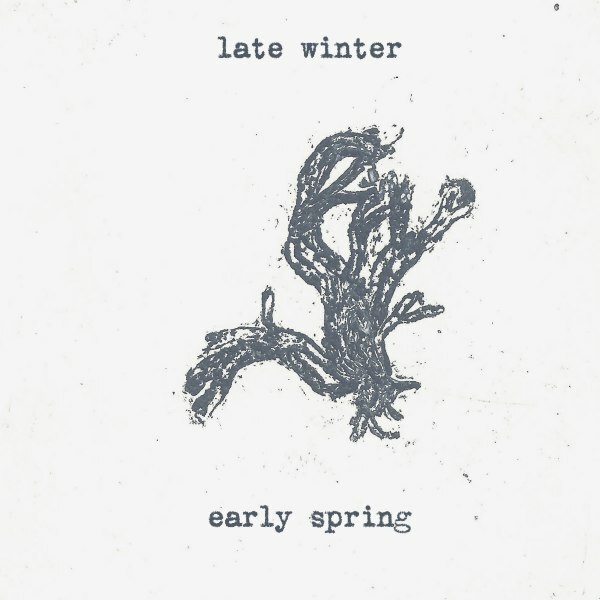 Despite its minimalism, some parts are heart-rending and terrifyingly dark, especially towards the end of "Early Spring". If Zen music starts by evoking the nature of the things itself, this trio equally tries to express their personal emotions in the process. 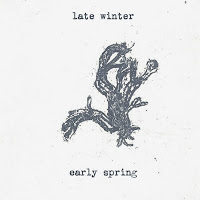 Just listen at the distress in "Late Winter" to understand what I'm trying to say. A trio that captures the essence of music. You can download the full album here. I seem to like a piano trio that is well marinated in rhythm. No matter how lush - both hands on the keyboard and the sustain pedal pressed - or how spare, if served with that extra dash of flavor, I'm hooked. 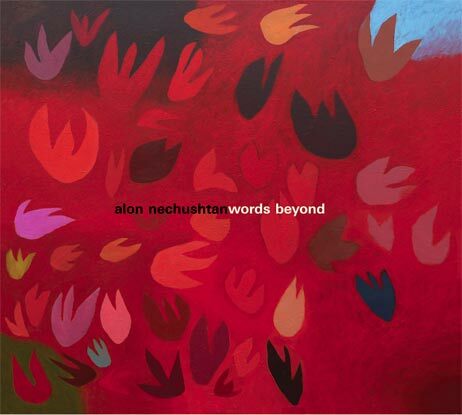 Alon Nechushtan's 'Words Beyond' hits the spot. From the opening moments of the jaunty 'Muppet Shock', the bass, drum and piano are perfectly immersed and proportioned. Nechushtan works with the klezmer influenced group Talat, but the straight ahead "Words Beyond" is his debut under his own name. His co-creators are Dan Weiss on drums and Francois Moutin on bass. While the obvious ingredients are the highly complimentary accompaniment and strong melodic tunes, I think that the secret one is his fast and confident phrasing. The aforementioned 'Muppet Shock' kicks off with a twinkling melody that bounces playfully off the rhythm section. After the Monk-like knot of a melody plays out, the group relaxes into uptempo solos, showcasing their ample chops. Nechushtan's comping is minimal but buoys the proceedings precisely. 'Different Kind of Morning' evolves rapidly into a modern jazz tune, with a straightforward melody and inspired improvisation. Things keep chugging along with 'Spinning the Clouds', but this one features a lithe backbeat and some subtle hard bop inspired riffs. 'Secret Short - Short Secret' is a seven minute excursion that, to me, is the highlight of the album. It features the piano spinning a melody and harmony that makes great use of the lower register of the piano, which then leads into a solo by Moutin that is a joy to follow - I particularly enjoy the piano's comping behind the bass. Even 'Heartbreakthrough', which is the sole ballad of the set, has a tender introspectiveness but contains just enough hint of the spice. Alon Nechushtan's Beyond Words is a smart synthesis of styles and genres of jazz made modern. Stylistic homages to Monk and abstract quotes dot the playing and compositions. The net effect is a lively work showcasing excellent group cohesion and imaginative playing. Lots of fun! There are those who support groups assiduously avoiding triads and all things symmetric and there are those who don't. The further the group strays, the more support I try to give. Pögiff by Birgit Ulher, Tim Perkis and Gino Robair gets my support by in large for the severity of swerve away from the land of melody and tertial harmony. And yet, the music has shape, contour and functions like any other music. If the need for union with the familiar can be surrendered moderate to occasionally rich (though never garish) rewards await..
Perkis using an interface that had nothing to do with any “musical instrument” I've ever seen and yet Perkis was entirely musical and functional through out the entire performance. Bringing out a broken Speak-and-Spell and letting it run amok as “art piece” is one thing, integrating with other musicians playing what we have come to know as “musical instruments” is another. That said, there were times through the recording when I had difficult telling Perkis apart from Robair--though to be sure, there is a difference. The extent to which they cannot be told apart is a compliment, and shows the range and breadth of Robair's percussive concept. As is often the case in improvised music with synthesizers, the more Uhler plays the trumpet as trumpet, the less compelling she is. Her palette of “other” trumpet sounds is broad enough that there are long passages where Uhler integrates seamlessly with the electronica surrounding her. The ultimate joy of Pögiff is that it represents a happening in sound that simply could never happen again. It would be interesting to hear the group try. They could get close using they could using the same sounds and techniques. The irony is that the computer adds an element of non-repeatability that traditional instruments cannot match. 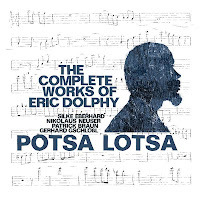 Potsa Lotsa for example is a work that theoretically could be played again and again with large parts of it sounding the same as the night before. The solos would be different, but the compositions and arrangements are static and unchanging. Or could be. gives us horn arrangements approximating the excitement, but never quite achieving it in the same way MRI scans don't say anything about the patients personality. The tremendous musicianship of Silke Eberhard (alto saxophone) Patrick Braun (tenor saxophone) Nikolaus Neuser (trumpet) and Gerhard Gschlossl (trombone) on Potsa Lotsa (and tremendous it is) combined with the epic amount of labor necessary to transcribe and arrange the parts, rehearse and perform them has the weight of a PhD dissertation yet is never as heavy as the real thing. It does take guts to tackle a project of that size and an admirable amount of devotion to pull it off. If in the end Potsa Lotsa is the Rosetta stone that introduces the future to the eternal genius of Eric Dolphy, the effort was worth it. Ken Vandermark is frightfully prolific. 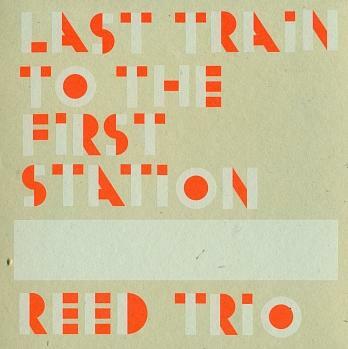 This recent release, 'Last Train to the First Station' by the Reed Trio is just one of the many current albums and groups in which he is a member. The Reed Trio is Vandermark on clarinet, tenor saxophone, baritone saxophone, Mikolaj Trzaska on bass clarinet, alto saxophone, c-melody saxophone and Waclaw Zimpel on clarinet, bass clarinet, and tarogato. 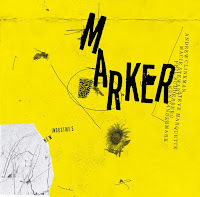 Without traditional (or any) rhythm section, the trio has been described as a more subtle counterpart to Vandermark's other woodwind trio Sonore with Peter Brötzmann and Mats Gustafsson. While perhaps a little reined in, the sonic textures and melodic improvizations that the Reed Trio explores isn't sleepy by any definition. Recorded on two separate dates in 2008 at the New Synagogue in Gdansk, Poland, the resulting sound is pristine and lets the listener in on the intimate sounds of the instruments from key clicks and breathes to full bodied tones. The free form songs evolve from a full group effort, without repeating themes or arrangements, but not without free and expressive melodies and rhythms. The harmonic possibilities of the myriad woodwinds is fully explored throughout. There are quiet moments, but more often than not, the trio's music has a fluid undulating energy. The opening tune, 'When Tulips Were Gold' showcases the great sympathy between the players as they create harmonies in their reactions. The exuberance of 'In Between Chairs' is as good a place as any to attempt to describe the intertwining lines and contrasting colors. The clarinets deliver a twisting melody full of stops, pops, blops and squirrelous sounds. Then diverging, the bass clarinet adds some long low register tones supporting the percolating higher register reeds. 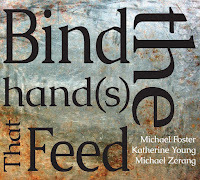 The following 'Sitting on a Warm Stone' features a long expressive saxophone solo, expanding and contracting, slowing and quickening, to its own breathy pulse. Whether following the melodic lines anticipating the quirky turns, or letting a cascade of notes wash over the senses, or being pelted by rhythm during 'Anthology Moves', the trio entertains. I suspect that The Reed Trio's debut album will be on my iPod for quite a while. It's an album that is rewarding to come back to repeatedly. Every listen is engaging and reveals more serendipitous details.